Jackie Stewart’s transition from three-time Formula One World Champion to businessman and public figure was pretty flawless. It’s pretty hard to argue with someone as universally well-known as Stewart when it comes to cars; the man was basically a self-made racer who dug his own path to success. But even if you didn’t know him for his racing, then chances are you’ve seen him in plenty of commercials over the years. We all know the Heineken commercial—but not everything was quite that… spectacular. I’d like to formally invite you to join me as we dive down into the depths of YouTube. 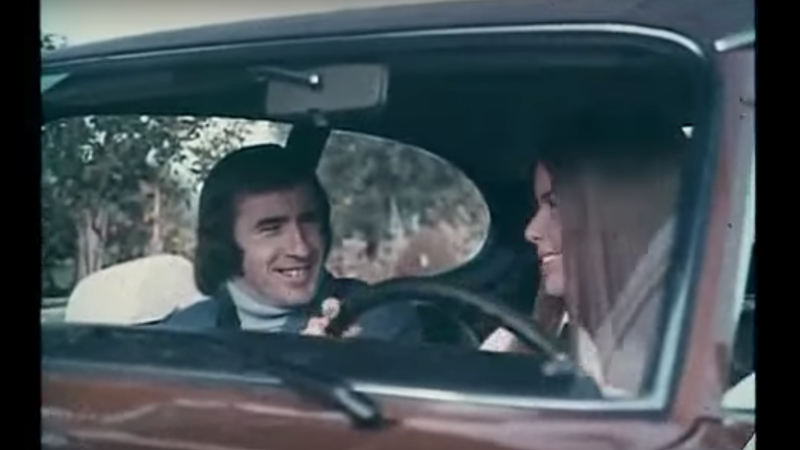 I’m dusting off some of my favorite Jackie Stewart commercials to share with the rest of you. Some are great because they’re so bad, some are just plain bad, and some are just… interesting. What better way to cap off your Sunday? Watch Jackie and his wife load up their luggage and go for a drive to show you how great the Ford Capri can be. Jackie is here to show you how great the American-made Pinto can be by comparing it to pretty much all of the most popular Japanese cars in a test to see… who can pass a pickup faster. I mean, it probably does say a lot about the state of traffic in England. It’s like a 1970s movie cruise scene, it’s so great. It’s like they booked Jackie for exactly five seconds of video and that’s it. Nothing makes me want to drive a Tempo quite as much as Jackie Stewart feeding me sound bites about how great it is. The computers. The animations. This is five minutes of great. This one is such a classic. This one is hilarious just because it’s like so hyperbolic. More commercials like this one, please.